Children are called to identify the right balloon that represents the correct answer to a math calculation problem keeping their hands steady for few seconds so that the balloon pumps up and goes to the results’ spot. Feedback is given for the correct or wrong answers. Moreover, the teacher/therapist can choose the level of difficulty for the math calculations that the child will be asked to perform, thus offering math problems related to simple or more complex math strategies. Also, the teacher/therapist can choose the range of the numbers that will appear. One of the most basic skills in mathematics is the ability for mental calculations. 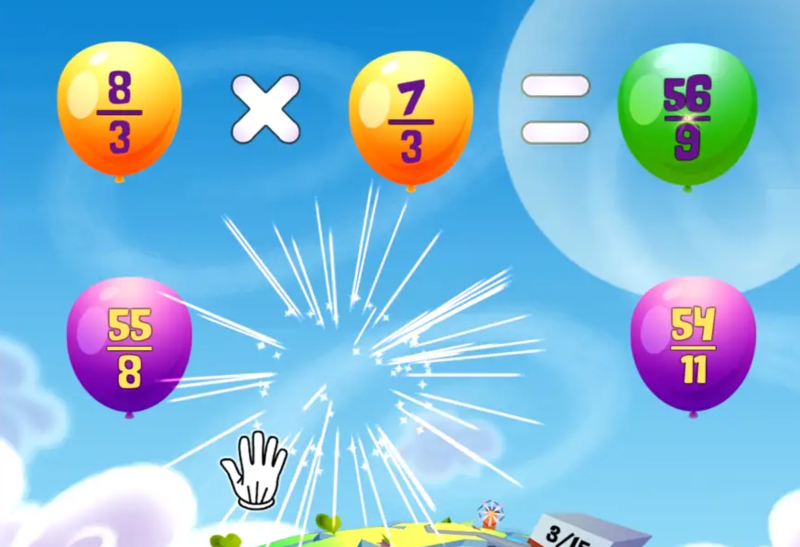 “Mathloons” is a game that helps children to practice addition, subtraction, multiplication, division with whole numbers and fractions till the 100s, in a fun and engaging way while improving middle-line crossing skills.